As Vice President of Health, Safety & Environment, Brigette is responsible for the strategic oversight of Sodexo North America’s HSE programs with a focus on driving a zero-harm culture throughout the US and Canada. 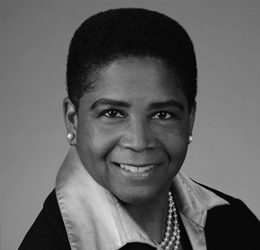 Prior to joining Sodexo, her career experience spans several industries including Food & Beverage, Power Generation, Aerospace and Industrial HVAC, wherein she has held responsibility for occupational safety & health compliance, environmental compliance and sustainability initiatives, government business development and new product introduction. Previously employed at the Coca Cola Company, she held multiple roles across Quality, Safety & Environment, Global Engineering, Research & Innovation and Environmental Sustainability. In 2011, she became the Global Director of Safety & Environmental Sustainability Governance, leading safety and environmental governance activities, data analytics, performance measurement and reporting for the global operations of more than 200 bottling operations, 900 manufacturing facilities, 5000+ distribution/warehousing centers, 100,000+ sales & distribution vehicles. Brigette was a member of the Global Safety and Environment Councils comprised of franchise and company owned operations. She led a complex matrixed organization for reporting the company’s safety and environmental performance internally & externally; most notably to investor relations, ranking agencies and non-governmental organizations (NGOs). Prior to joining the Coca Cola Company, she worked at United Technologies Corporation, Westinghouse (now Siemens) Power Generation and Bechtel Power Corporation. Brigette holds a B.S. in Mechanical and Industrial Engineering from Kennesaw State University, a M.S. in Environmental Engineering from Howard University and an M.B.A from the University of Chicago Booth School of Business. She resides in Decatur, Georgia.